We are engaged in manufacturing, supplying and distributing a wide range of Laboratory Equipment to meet the needs of our clients. We offer our range in different sizes. According to the demands and demands of the customers, we are offering them a desirable assortment of DC Milliohm Meter. The hassle free performance and advance technology of our DC Milliohm Meter attract the customers most. Moreover, these products are known among the customers for its advance technology and long service life. 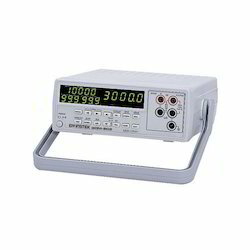 We have carved a niche in the market for providing a huge assortment of Automatic Distortion Meter. 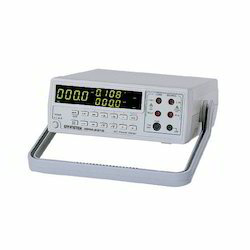 Our Automatic Distortion Meter is highly demanded by customers for its accurate results and reliable nature. We manufacture this product by keeping customer’s requirements and demands in our mind. 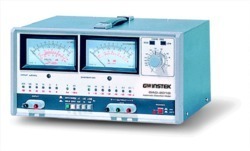 Owing to the rich industrial knowledge, we are providing a quality assured spectrum of Automatic Distortion Meter. The hassle free performance and sophisticated technology of our AC Millivoltmeter satisfy the customers most. Our product is highly demanded and appreciated by customers for its sturdy construction and availability in various sizes. 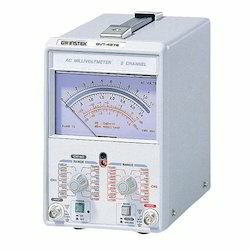 In order to satisfy the customers completely, we are able to offer a huge array of AC Power Meters. These AC Power Meters are easy to install and efficient to control power fluctuation. Our products are known for their advancement and availability in various models. With a strong focus on high quality, economical measurement solutions for the educational and industrial manufacturing markets, GSASMSPL has partnered with Good Will Instrument from Taiwan. Popularly known as GWINSTEK, it has developed a solid brand image and reputation for reliability, integrity and innovation.